This was taken down by the Delaware River in New Hope, Pennsylvania. There were 20 or 30 of these birds. I assumed they were some kind of water foul, but thought they looked like vultures. 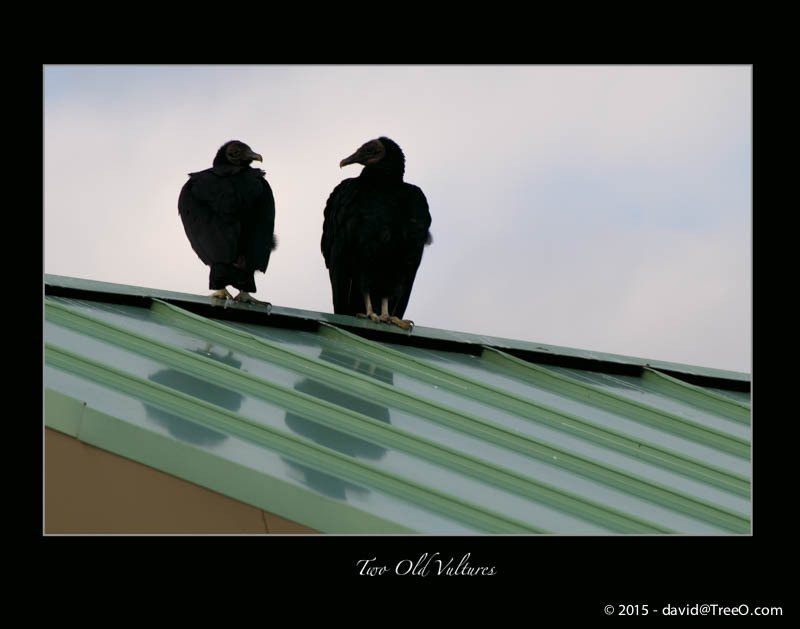 When I got home, I researched it on the internet and sure enough, they are black vultures. These two guys look like they are having a chat.